So after looking over my past logs for books (two years really), I realize there's a reason my yearly rate is on the decline. And it's not just because of new comics. It's because I'm reading too many bad books. For 2016 my scoring average was 2.93. That means I read more books that I scored below average than above. This scoring should be at four. It's not like I grade on a curve. 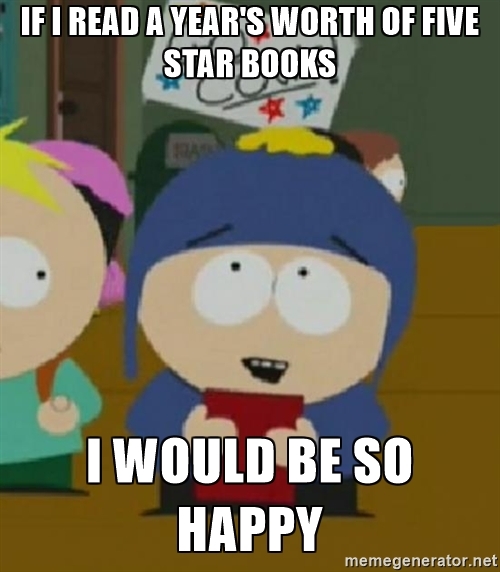 There's no reason I couldn't have an entire year of five star books. So to that end, I'm going to be a bit more picky about my selections. Too many times I've been fooled by classics that turn out to be antiquated and overwritten "post-modern literary" tripe. Most of the time I get my selections from my role models, whenever they happen to tweet about what they're reading. People like John Green, Rainbow Rowell, Mike Krahulik. Sometimes I hear about an interesting concept, like a robot detective. Sometimes it's a memoir from someone I like. Sometimes it's a book I feel like I should have read. But now we've got some more rules before anything makes it on the "to-read" list. More than five years old, with each subsequent year increasing the minus on a graduated scale. Anything written earlier than 2010 gets scrutiny -- I won't know how to write for today if I'm reading for twenty years ago. Too long. Hard to tell because page count doesn't necessarily equal number of words. But my Kindle has a reading speed monitor and can tell me how long it'll take to finish something. Less than a 3.9 rating on GoodReads, correlated with a graduated scale of "number of reviews". In other words, just because everyone else has read it doesn't mean I should. Also, I must read a sample of the book before committing. Too many times I forget I can just quit a book and fall to "time-sunk fallacy". Maybe it's because if I don't finish it, I don't feel right in writing a review for it and can't add it to my tally. 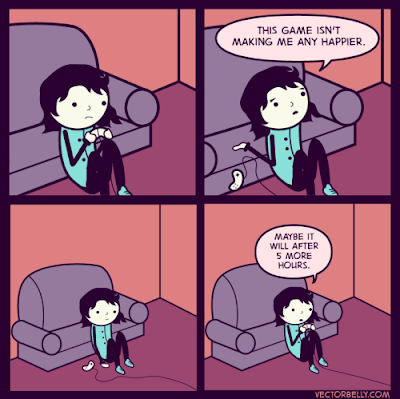 Or it's "I've gotten this far, I may as well finish it at this point". No! No! Stop that. Bad boy. Quit the bad books. Have a more discerning palate. If you want to stop in the middle of Wuthering Heights because it's boring, then do it! I don't care if people think less of me. Maybe it's because I never hear of authors telling the truth about books they read. They always gush or say "I ate up everything written by him/her", like authors need to like everything. Like how actors never say so-and-so was hard to work with or whether the movie they're in is any good or not. Finally, going to try and avoid non-fiction. Not because non-fiction is tending towards badness, but because it's not doing my fiction any favors when I'm reading exclusively on one subject. It's hard to think of ideas for a fantasy-monster story while my mindset is in military women. Also, I've just read so much of it this past year I can take a break. Now, given the criteria above, please understand: I'm not saying there's anything WRONG with these kinds of books. This is for me and me only -- your experiences no doubt vary. But I keep falling into these kinds of books and they're starting to feel like "reading jails". No matter how many pages you read you never feel closer to finishing, whether it's because it's long or hard to parse or full of fantastic language that slows down the plot. I need to have a higher standard for myself -- or at least a fresh start -- or I'm going to start hating reading. *I have no idea how book reviewers do it. I read as fast as I can, but it takes me eight hours to finish a best-seller.